Bought it for my trip to Europe, and it was the best decision. Very light and comfortable. Loved these boots. Very comfortable and stylish. Fit was very true to size. Super comfy and beautifil.Best hicking boots that i have had.Great quality Highly recommended. It's so comfortable and cozy . I usually wear size 7M for other shoes but i have to order size 7W for Cole Haan shoes. These boots are warm and waterproof. I wear a wide width and the fit is good and comfortable. Highly recommend. Excellent warm and confortable ! Comfortable, light and stylish. Great for traveling as it is lightweight. The first day I wore them I walked quite a distance with no problem. No break in period needed. These are my favorite winter shoes. I have narrow feet and this is one of the few Cole Haan shoes I can wear as the laces can be pulled tight. I have worn them in the pouring rain and my feet stay dry. I love my shoes! So comfortable...my daughter saw them and said that was exactly what she wanted for her Christmas gift! Now I have to get her these shoes in a different color! I love the boot. I had heard they run a bit on the narrow size so I ordered it a 1/2 size bigger and in wide. Under those circumstances there is plenty of room for my foot in the boot. They're cute and comfy. 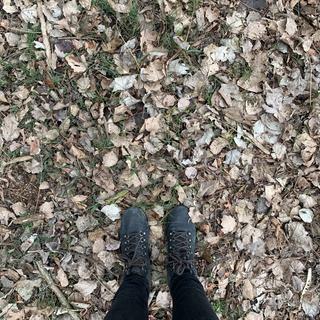 These hiker boots are wonderful! They aren't clunky - very streamlined with a chic look. I haven't worn them hiking yet, but I wore them tailgating for an entire day on a very cold Saturday recently in the midwest, and they kept my feet comfortable and incredibly warm! I received many compliments on them. It is literally like wearing cool-looking high top running sneakers, that's how comfy and cool they are. Look forward to wearing them thru the winter and in any precipitation since they'll also keep me dry! Love it!?? Very comfortable went hiking twice. Bought size 8 fit perfect. Highly recommend ?? These boots are so comfortable and fit great! Love the last pair I purchased in another colour, so treated myself to a second pair! Purchased a pair last year and wanted a different color. Very durable and comfortable. I have owned a pair since the first year they came out. They have performed extremely well on several trips I've used them for. They stay dry, have good traction, and are soft and comfortable for all day wear. I'm gifting a pair to my mom! Tried on in store and loved them, but they didn't have them in my size. Loved the fit (a bit bigger than the other shoes CH carries) and the look with casual pants. They are light as a feather and feel great on my feet. The style and look of the boot plus comfort. I'm replacing the boots I've been wearing for a couple of years. The best thing about these, in addition to being waterproof, is how little they weigh. This boot is light weight, comfortable, waterproof and great looking. I am buried in snow here in NC and I cannot wait to wear it. I need a pair of warm comfortable boots that I can walk in all day when I go to China in a month. Do these run a little narrow? BEST ANSWER: I believe they may run slightly narrow. I say because I have very narrow feet and the majority of shoes these days seem too wide for me but these are quite comfortable and not too wide. More of a medium width and for me a good fit with warm socks too. I ordered these in a wide which is what I wear in sneakers and they are plenty roomy. I'd say that no they don't run narrow. I probably could have worn the regular ones as well. They are super comfortable!! I purchased the boots for my daughter who has a very wide foot. She has never complained of them being narrow and she is a hiker, lives in Colorado and wears the boots often. I have two pair and haven't found them to be narrow at all. They are very comfortable and true-to-size. Since I normally wear a medium and I ordered this in a wide, I believe they run a bit narrow. I found them to be true to size. I have had trouble with the buckles staying latched. No they are a true medium. Love them. No the boot fit true to size. Is this suitable for hiking on unpaved mountain/lake trails? Not super difficult trails but not city streets either. BEST ANSWER: While the design of this boot is Alpine-inspired, it is a fashion boot and does not have a reinforced, heavy-duty lugged sole like an outdoor hiker boot does. Save this boot for looking sharp on the street! While I love the look and comfort of these boots I would not recommend them for wearing on hikes or on mountain trails. I have the Zerogrand shoes, I purchased my regular size, and I cannot wear socks with them only nylons, do these run like the shoes, or are they a little more roomy for winter socks? BEST ANSWER: While this style is an ankle boot, it fits the same as a ZeroGrand oxford - same last, same footbed. If you scroll down to the Customer Reviews tab beneath the product and customer photos, you can usually find some good information there regarding fit. Also, we recommend using the TrueFit widget on the product page. I purchased my regular size and am very happy with them. I've worn them comfortably with medium weight sweat socks. But my really heavy ski socks, for example, are a no-go. Too tight in the toe box. If you want to wear with heavy winter socks, I'd suggest trying a 1/2 size up. I bought a size bigger than my size and the thicker socks work fine. If I had bought the boots in my regular size, I think the thicker socks would have made the boots too tight for my liking. I got my usual size and found the toe box to be slightly tight. I do have bunions, however. I am not able to wear thicker socks. Should’ve ordered 1/2 size up. I wear a woman's 8 1/2 or 9 in a shoe. I purchased these in a size 9 and I can wear heavier socks. They are very comfortable shoes. I like them. they run like shoes... but are heavier than my other zerogrands. I am unable to wear thicker socks with them. I ordered my regular size and can wear socks, even wool socks like bombas. I love these boots! They run like dress shoes. To wear with socks, I feel you should size up a 1/2 size. They are true to size. I am a 7.5 and I wear them with winter sock and fit perfect. Do these boots have complete ankle protection? In my view, these boots are incredibly comfortable and provide ankle coverage and medium ankle support. They are not as firm and rigid as a traditional hiker, which I like. This fashion boot in the Hiker style has a warm, fabric collar around the ankle which provides warmth and coverage. It is not a "protective" or supportive feature. Not quite complete ankle protection - they do cover the ankle, but they don't go up over the ankle like a taller hiking boot. Will the leather strecth out a lot? BEST ANSWER: I don’t think the leather will stretch out. This is my second pair and I have narrow feet. This is one of the few styles that I can wear because the laces can be tightened. These are definitely my favorite winter shoes. I have worn them in the pouring rain and my feet stay dry. I would say the leather stretches a little, not a lot-- I've worn mine (nubuck) about 10 times now. I love 'em. They're totally cute and comfortable. I’ve had mine for 3 months and they have only stretched a little and where them a few times a week on the floor in retail sales. No, I haven’t noticed any stretching of the leather and this is my second pair that I have purchased. how warm is this boot ? up to which temperature does it resist ? I haven’t worn them in anything below 40 degrees. No issues. Still comfortable. For NYC winter, forget! Not warm and not waterproof! BEST ANSWER: We generally offer only current season's styles on our website. If you are looking for a particular boot, try an online search.